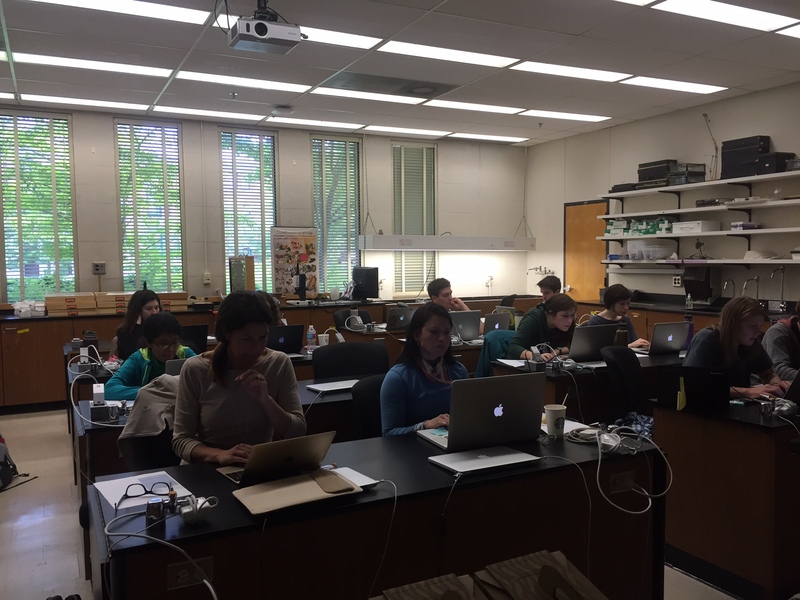 Reflections on BioBE’s first Microbiome Science Wikipedia Edit-a-Thon – microBEnet: the microbiology of the Built Environment network. 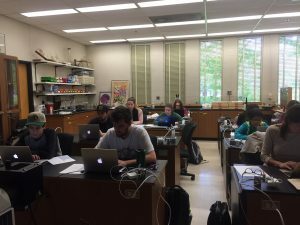 The Biology & Built Environment Center hosted a Microbiome Science Wikipedia Edit-a-Thon on May 27th, 2016 at the University of Oregon. You can view the MeetUp page for this event here. The objective of this event was to facilitate the contribution of microbiome science edits & topics to a globally-used, public knowledge resource (Wikipedia). We were especially interested in enhancing the contribution of under-represented authors (i.e. women, minorities) to Wikipedia. Contribute to articles that target microbiome and ecological science topics. 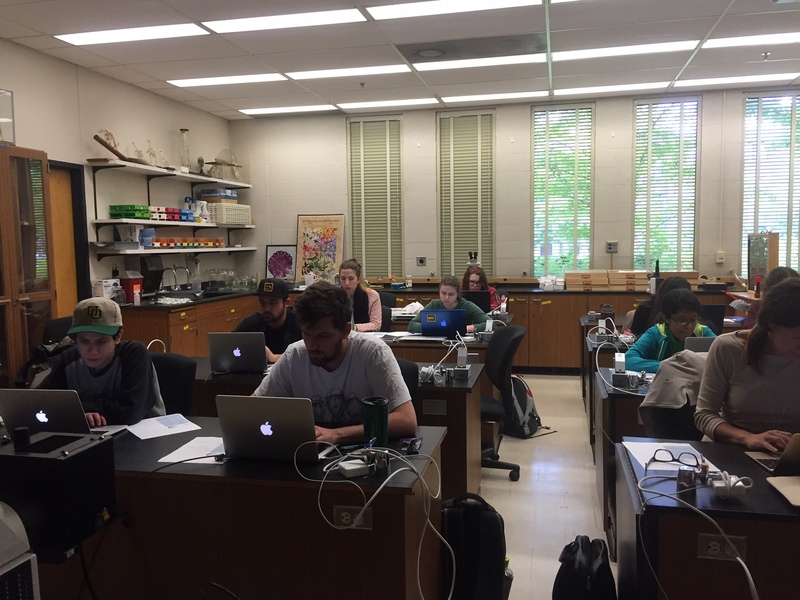 Create and/or expand stubs pertaining to microbiome and ecological science topics. Add/update citations and/or references to targeted articles. No prior editing experience was necessary, and minimal training was ultimately required for this activity. Prior to the event, we arranged a 30 minute training session to familiarize participants with the principles guiding Wikipedia and the basics of editing. There is a plethora of training materials available on Wikipedia. I used a Wikipedia training module, and this was sufficient training for this event. I believe this training could be shortened even further, and there are many editing cheatsheets available. One of the most difficult parts of the editing process, is actually choosing what topics to edit. This is touched on briefly in some of the Wikipedia training modules, but discussing what topics would be most appropriate in the context of microbiome science and ecology (or whatever your Edit-a-thon theme is) before the day of the event is important. This event took place over ~3 hours, from 12-2:50pm. After short introductory comments and a brief 10-15 minute review of Wikipedia editing basics & principles, we allowed ~2.5 hours of research & editing time. Everyone brought their own laptops for this event. Coffee and light snacks were provided, and thoroughly enjoyed. I was available for questions and assistance throughout the activity; most people didn’t require much, if any, additional help to successfully research & edit their chosen wikipedia topics. At first, this activity was greeted with a good amount of skepticism. Nobody was very familiar with how to edit Wikipedia, what editing Wikipedia actually entailed, or how one might benefit from such an activity. Throughout and after the event, many participants were surprised by how much they enjoyed the editing experience, how easy the editing process turned out to be, and by how much they learned about various topics by editing Wikipedia. We’d love to do this again, especially with more friends & colleagues! Co-coordination with another microbiome-oriented event, such as a microbiome conference or workshop, and/or with other microbiome research centers would greatly increase potential participation and help to generate excitement for the edit-a-thon. To increase the frequency of Wikipedia contributions beyond the confines of an edit-a-thon, we’ve been discussing the incorporation of Wikipedia article curation/addition into a journal club format. Our journal club papers & discussions would certainly generate relevant content for which Wikipedia entries are incomplete or nonexistent. I initiated a RSVP page (google doc spreadsheet) to encourage and document local and remote attendance. People didn’t use this page without explicit direction. I think the event would be greatly improved & have better outcomes through more advertising and coordinating with remote participants. We did some Twitter advertising with the hashtag #wikiMicrobiome2016. I’d be open to suggestions from interested parties on how to better document & advertise this event, both for organizing logistics and for posterity. IMO, having an idea of what topics or Wikipedia pages you’d like to contribute to before you arrive is essential to event success, especially if there isn’t a lot of research & editing time allowed. Even if you provide a curated list of potential topics beforehand (which I did for this event), a participant can still spend too long on choosing which topics to edit, rather than doing any active research/editing.